We’re always looking for great opportunities, and one of the best sectors to invest in when the time is right are the tiny gold shares. It’s a very cyclical business with extreme volatility, offering investors the chance to buy extremely low and sell when they go into a mania phase. Nothing beats exploration plays, of course. 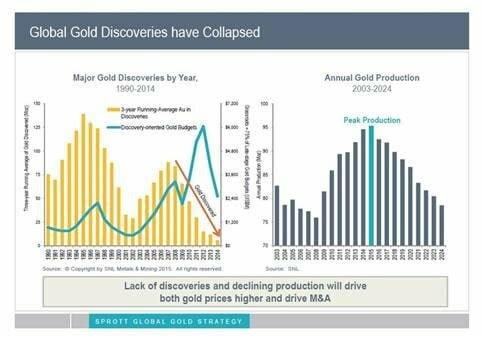 Gold discovery plays, regardless of the gold price, can give investors 10x to 100x or greater returns on their money. Although speculative in nature, early-stage mineral plays are what attract so many investors into the space. In my opinion, the worst is not over for the gold sector, however, for many of the shares, I don’t think they can get any cheaper! Last year, we had VanEck restructure their gold ETFs, requiring them to sell $3 billion worth of the existing holdings. The selling has been relentless in the gold space, far worse than what we’ve seen for the metal itself. In July, Vanguard announced that it would also be restructuring its precious metal and mining fund this month. They’re even renaming the fund from Vanguard Precious Metals and Mining Fund to Vanguard Global Capital Cycles Fund. Like a tsunami of selling, Vanguard and other funds that mimic them are just hammering away at a market that is already fairly bloodied up. ***One interesting thing to point out is that the last time we saw something like this, it marked a MAJOR bottom in the mining shares. 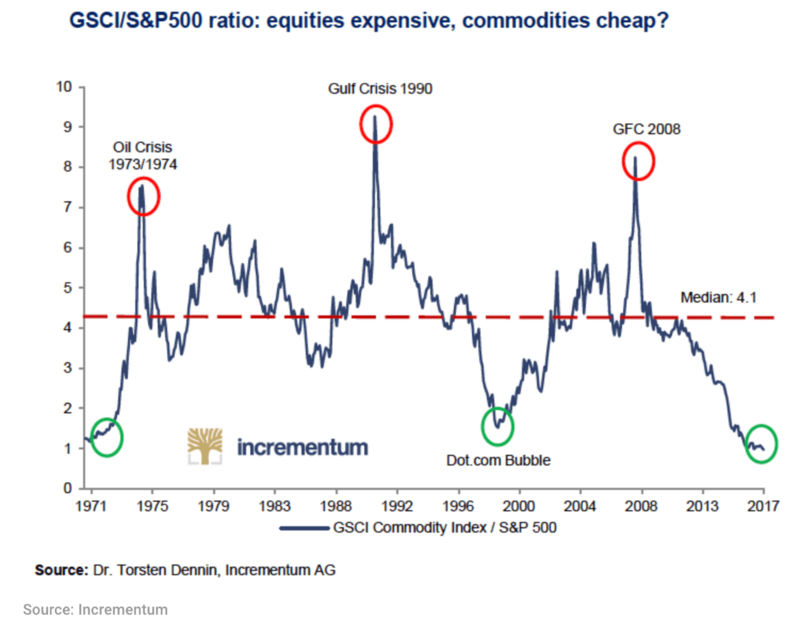 The gold/silver ratio is also at an extreme, at 84 to 1! October of 2008 is the last time we’ve seen anything like this, when the ratio got out of whack to the point it took 93 ounces of silver to equal 1 ounce of gold. Both gold and silver rallied big from there, with silver outperforming gold to the point it closed the gap from 93 to 1 down to 31 to 1. If you’re a good stock picker, now can be a great time to pick up gold shares. However, if you’re not, physical silver is, without a doubt, an easy buy here at these levels. The downside for silver is very limited because miners are no longer profitable at these levels and mine production is likely to cliff dive. 1.Energy costs are higher for miners. 2. Industrial metal miners are also struggling, which is where most silver comes from. 3. Demand is soaring, with more uses for silver than ever! It’s a clean energy metal now, too. 4. Silver is dirt cheap by any standards. We also have to consider that a lot of silver comes from gold mines, and according to Goldman Sachs and others, we’ve likely hit peak gold. This is why a good discovery in the space would be richly rewarded right now, perhaps even more than in the past. The industry is starved for new resources in safe mining jurisdictions but that’s a speculator’s game and you should only invest what you can afford to lose in these sorts of lottery-type tickets. I’ll be working on a special gold report over the next few weeks that will include our top recommendations. Investing at the right time, even if a little early, can pay off huge for us! Editor’s Note: I purchase all of my precious metals from MilesFranklin.com. I know the owners well and they’ve been in business for 3 decades without a single complaint. Literally, look at their Better Business Bureau reviews and rating. They are great people, very honest, and happen to be one of the only shops invited to shows like Sprott and Casey conferences, who are actually their competitors, as both Sprott and Doug Casey have ownership in competing bullion-type companies. I think that says a lot about Andy Schectman and Miles Franklin, when even their competitors introduce them to their own clients.